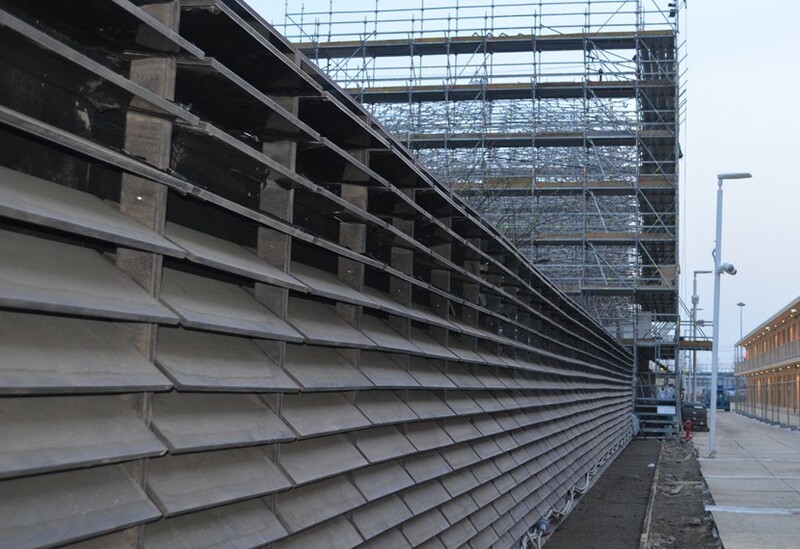 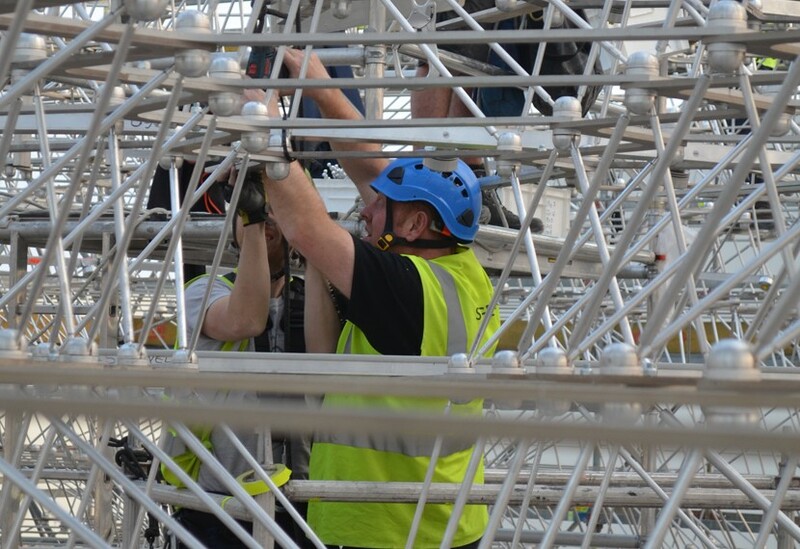 Our experience serves us well in dealing with installing complex structures in tight spaces. 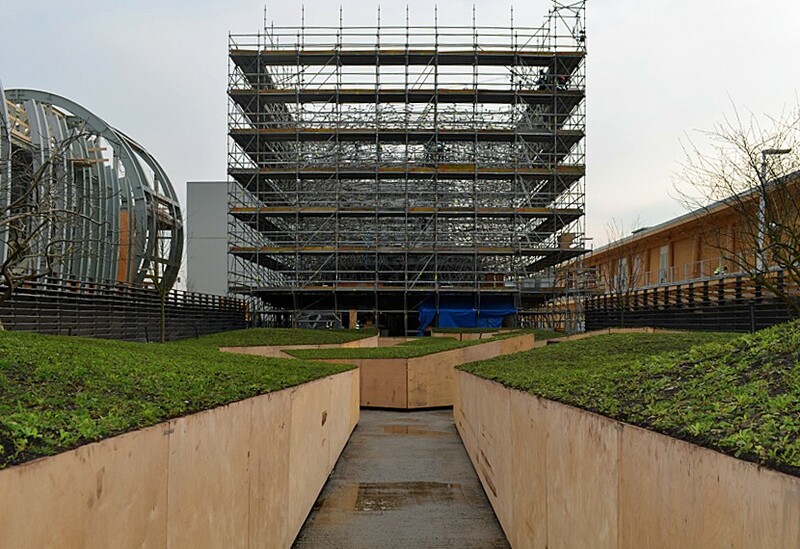 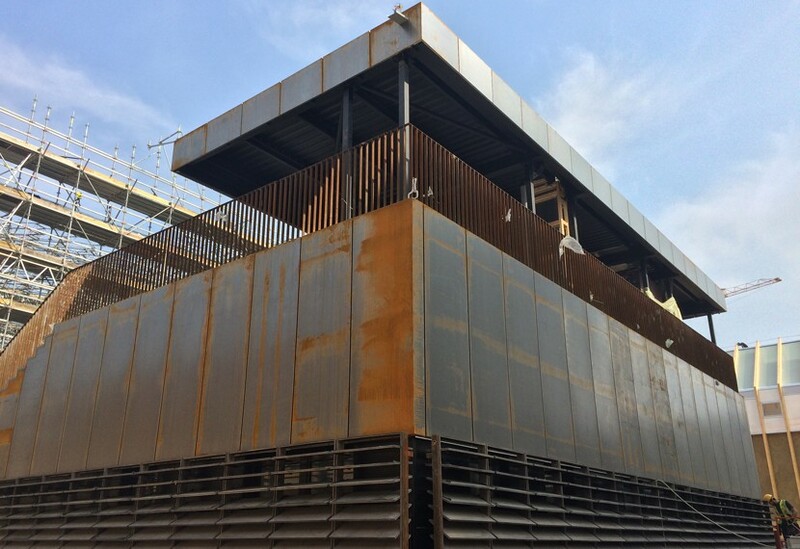 The long, narrow footprint for the UK’s pavilion in Milan not only allows for minimal work space and storage, but it also lies within a site that is itself restricted, full of other nations and suppliers all with the same deadline to meet. 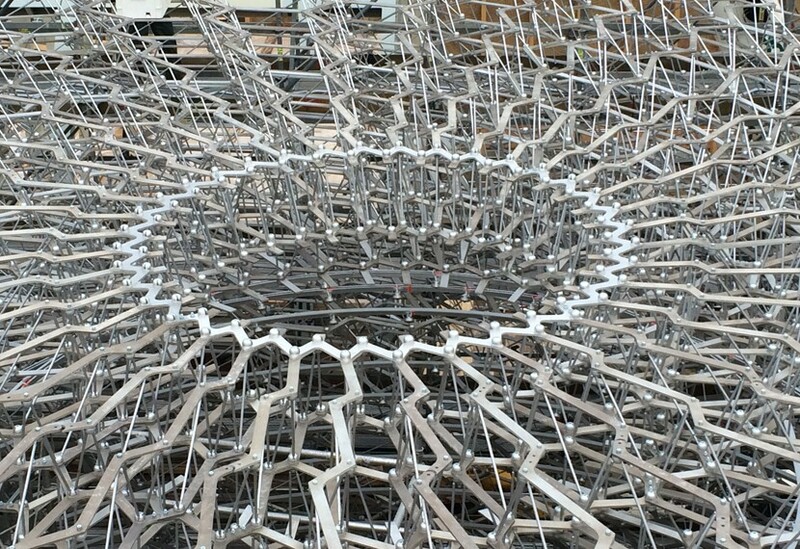 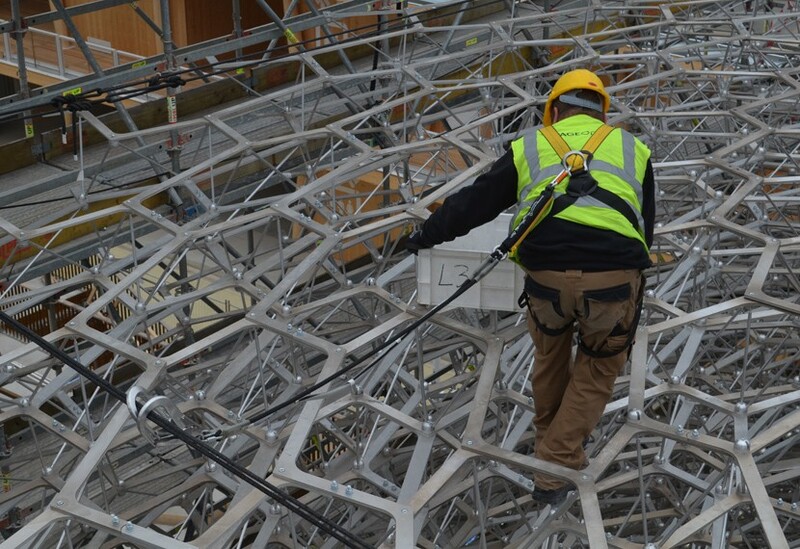 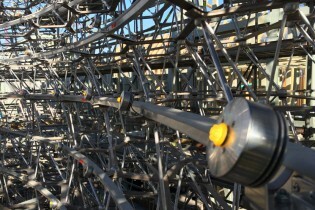 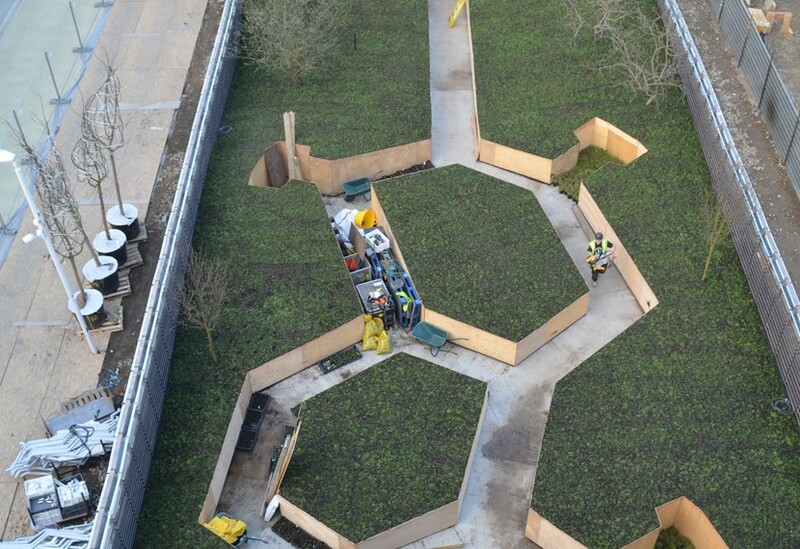 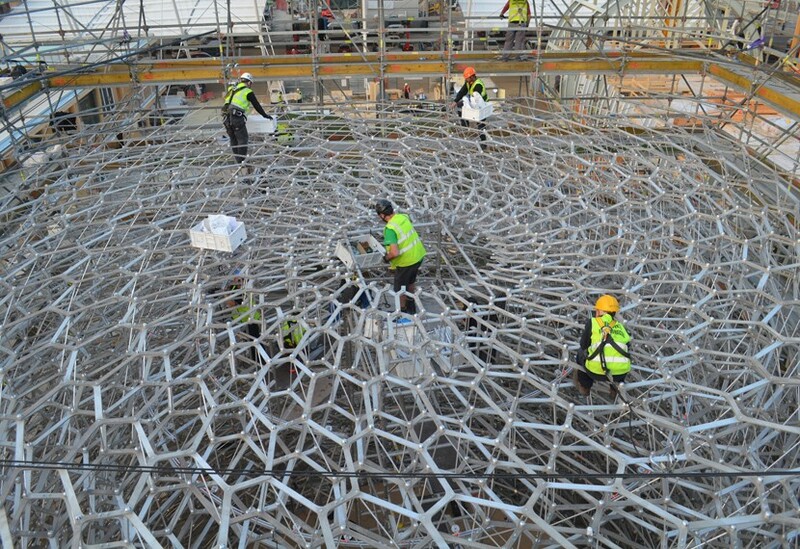 The highly systematic approach to the manufacture, delivery and careful piecing together of the 115,000 individual components has, however, contributed to speedy progress for the UK pavilion. 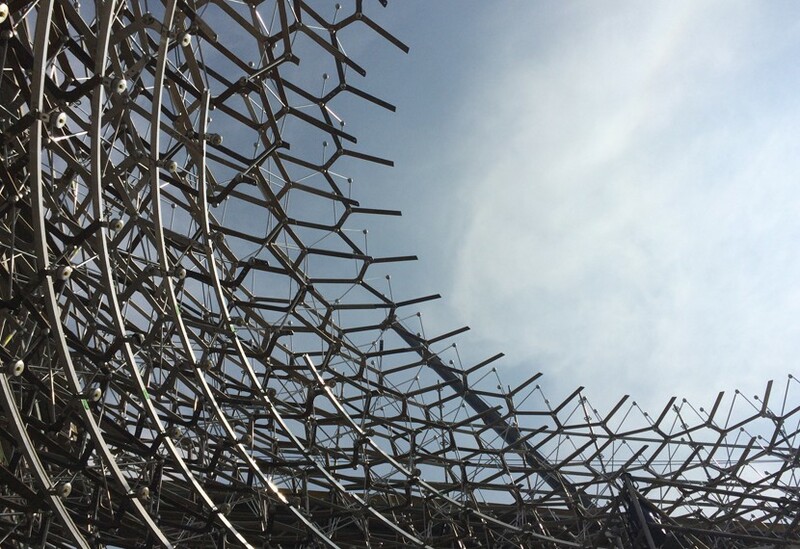 Components have been manufactured in specific batches, each item etched with its own reference number relating to its specific position within the complex warren of hexagonal cells that comprise the Hive structure. 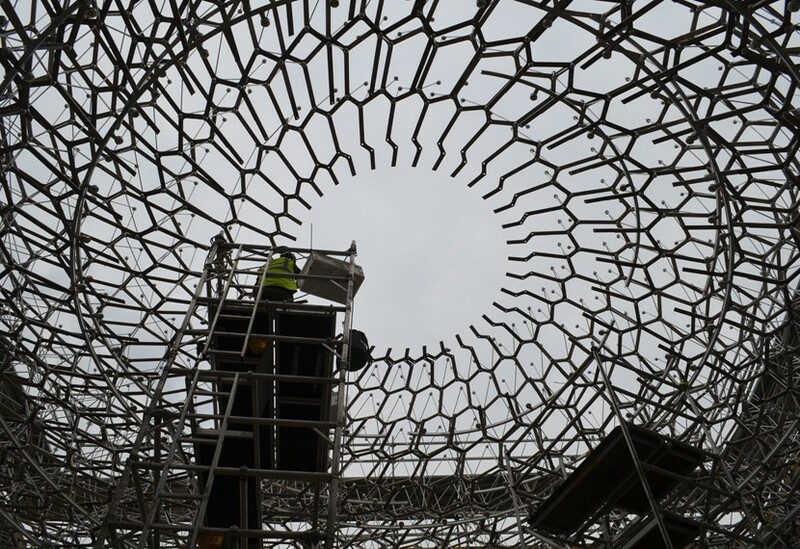 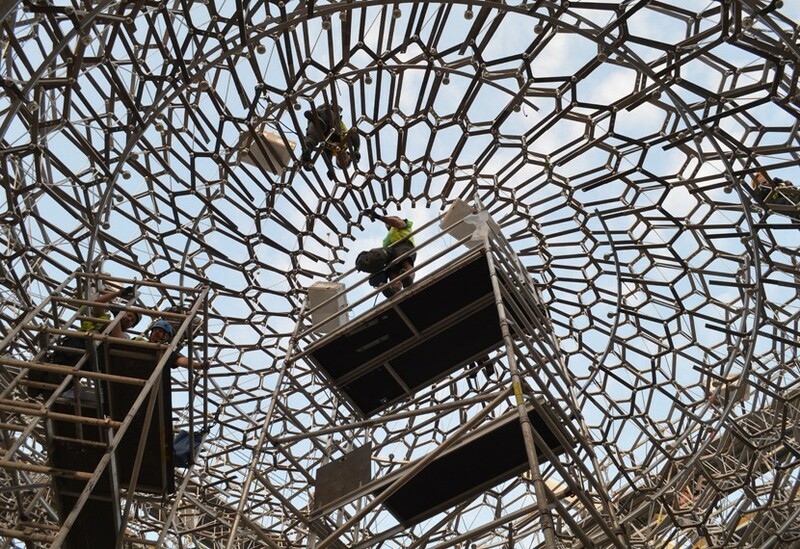 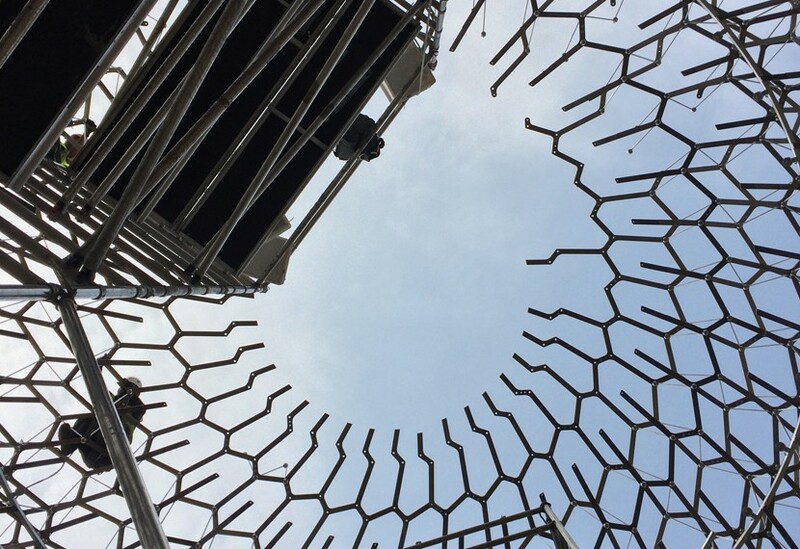 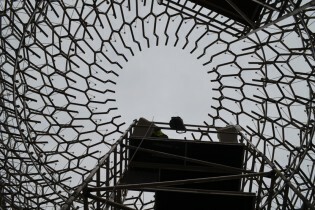 The latest photographs from site show not just the high-end skills and craft of our crew in Milan, building the Hive piece by piece, but also reflect the care and skill of our workshop teams who get the right components to the right place at the right time. 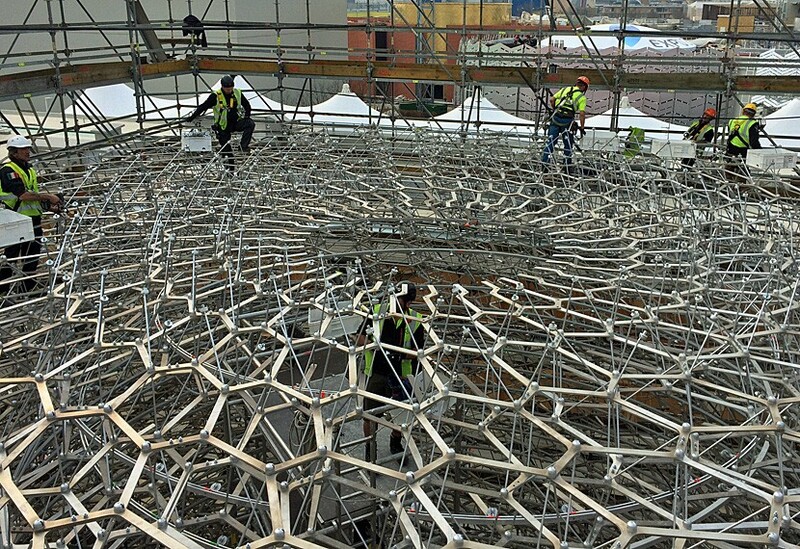 Keep up with our progress on Instagram and Pinterest.